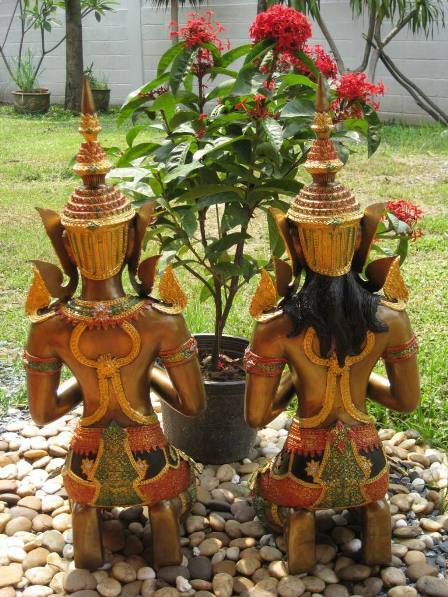 The multi colour kneeling Teppanom Angels are a great way to add colour to you décor and to bring a little bit of Thailand to your home. 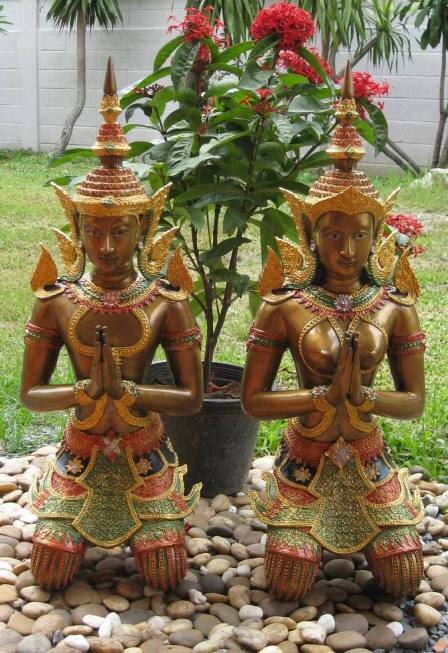 The male and female pair of the multi colour Teppanom Angels come in a variety of sizes just like the silver and brass coloured angels and are hand moulded from wax and stained and finished in Thailand. The angels weigh approximately 35, 25, 10, 2 lbs each per statue respectively. They can also be custom made to any size. Below is an image of the Brass, Silver and the multi-coloured angels. 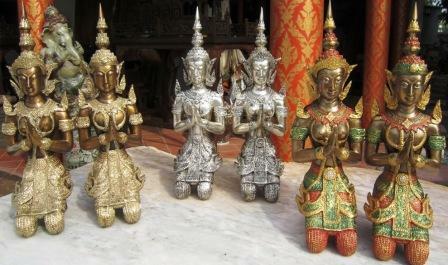 For further information about this set of multi-coloured Teppanom Angels, please visit Nongnit's Treasures Website.